After Lucy Sichone’s death in August 1998, Zambia’s leading independent newspaper – The Post, where she used to work as a legal columnist, published a front page memorial article for her, with the headline “Zambia mourns Sichone”. A series of articles ran in The Post after her death, showing the condolences from many political leaders, NGOs and citizens from the nation. “The human rights community, both local and international, has been robbed of a parent and activist who saw great merit in challenging wrong doings at greater personal risk,” said Ngande Mwanajiti, executive director for the Inter African Network for Human Rights and Development. Non-Governmental Organization Coordinating Committee (NGOCC) described her as a fearless campaigner for human rights especially land rights and the rights of suspects and underprivileged in the society. The organization said she made tremendous contributions to the promotion of human rights, democracy, peace and stability and thus should be accorded the honor of a state funeral. Sichone joined the former ruling party, United National Independence Party (UNIP), when it lost the 1991 general elections. She then left the party in 1994 when she started to experience problems with fellow members of the central committee. She began contributing to independent daily newspaper The Post in 1993. As her columns challenged the Movement for Multiparty Democracy (MMD) government and its manipulation of constitutional provisions, she became subjected to the MMD’s repression. 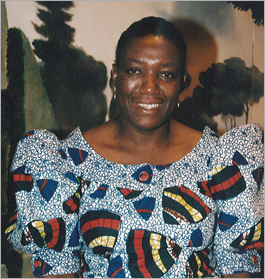 In February 1996, Sichone and two of her collegues, managing editor and chief editor of the paper, were forced into hiding to avoid imprisonment on charges of contempt of Parliament after the Zambian National Assembly. Prior to that, Sichone wrote an article titled “Miyanda has forgotten about need for justice!” commenting on the vice president Godfrey Miyanda. The National Assembly Standing Orders Committee sentenced the three journalists to indefinite detention until they publicly apologize for breach of Parliament. Sichone also formed the Zambia Civic Education Association, with the main goal to instill civic awareness in the citizenry. Sichone was born in 1954 in a township in Kitwe, north central of Zambia. She managed to pursue her education despite a “not-easy” life, and was accepted at the University of Zambia to study for a law degree in 1978. She obtained her degree in 1981 and won a Rhodes scholarship to study for an economics and politics degree at Oxford University in England. Lucy Sichone is the first IWMF Courage in Journalism Award winner from Zambia.